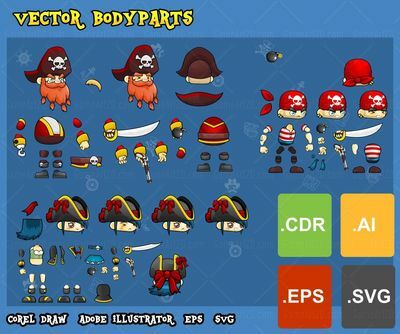 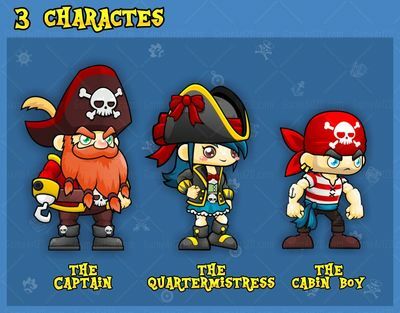 A collection of pirate game character sprites for creating 2D side scrolling games. 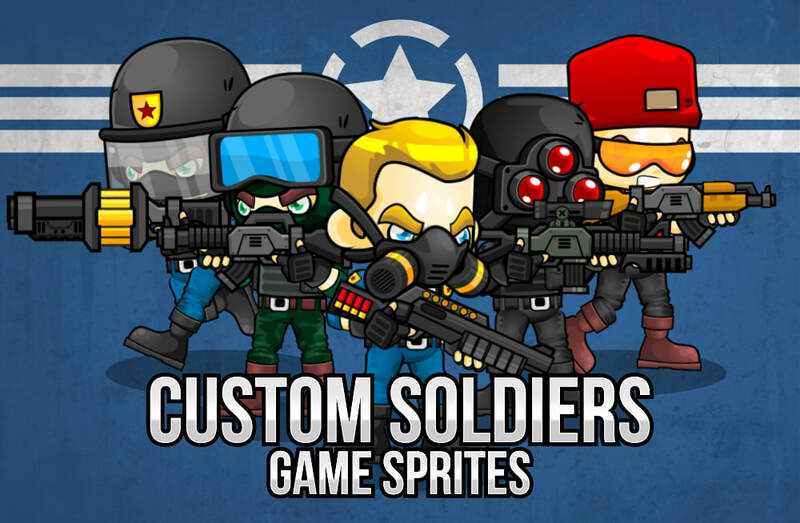 Suitable for platformer, adventure, action, and endless runner games. 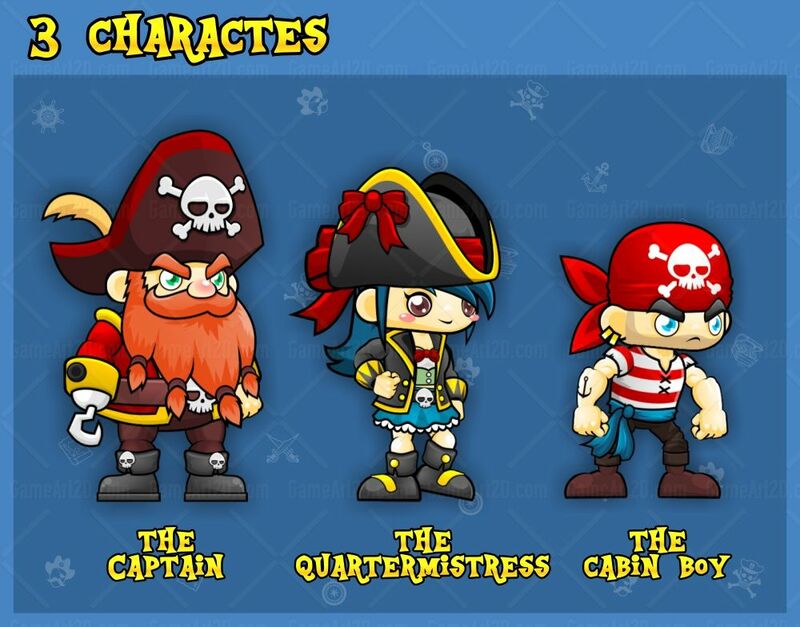 3 Characters: The Captain, Quartermistress, and Cabin Boy. The body parts made with CorelDraw. 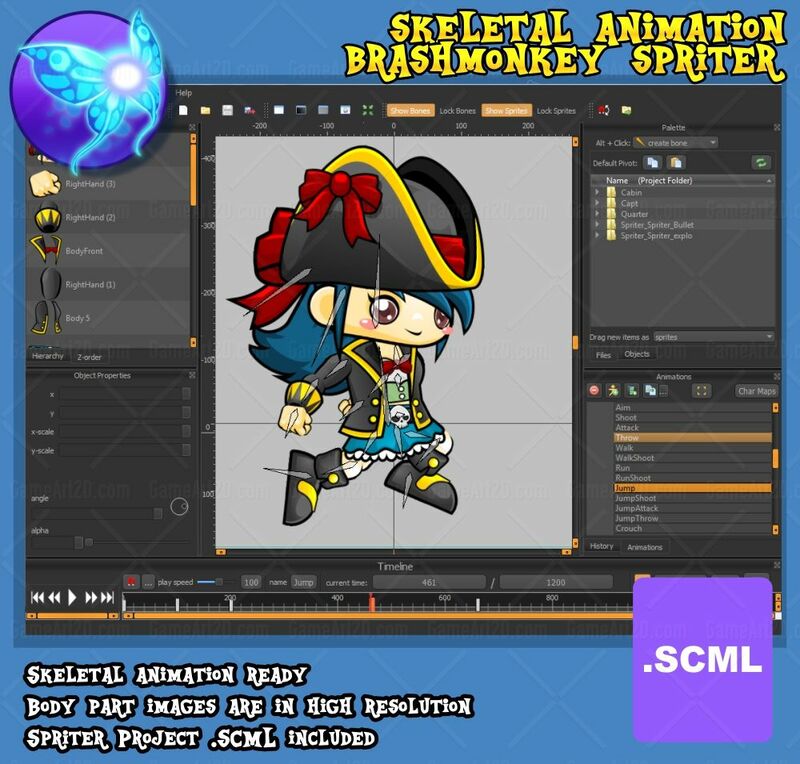 Adobe Illustrator .AI, .SVG and .EPS files also included.